There are very few things more irritating than coming back to your car to find a slip of paper underneath the windshield wiper. Often times, people either lose this slip or throw it on the ground declaring they're not going to pay it, but just because you don't have the physical ticket doesn't mean you are out of paying for it. In fact, the longer you wait to pay it, the more expensive it becomes, and you could even have your car towed and impounded for unpaid parking tickets. If you've lost your parking ticket, you should call the appropriate authority as soon as possible. A simple phone call will get you all the information you need to get this parking ticket mess all fixed up. Identify the correct police department as soon as possible. It's got to be the one that issued the ticket, not just your local department. Even with such little information as on what street the ticket was received on should be enough to pull up your ticket. You should call the police department or municipal court in the area of your incident. For large areas like San Francisco, there may be a whole separate parking department that handles parking tickets. For contacting the police department, be ready to give them your license number so they can look it up. Sometimes you will have to go to the Traffic Bureau to get the information you need. For reaching out to the court, take a look at the website initially. Here you may be able to enter your information and pull up your ticket. Otherwise, you can just call and get the help of a clerk to find the ticket. With these methods, you will get a copy of the ticket or obtain information required for you to pay. 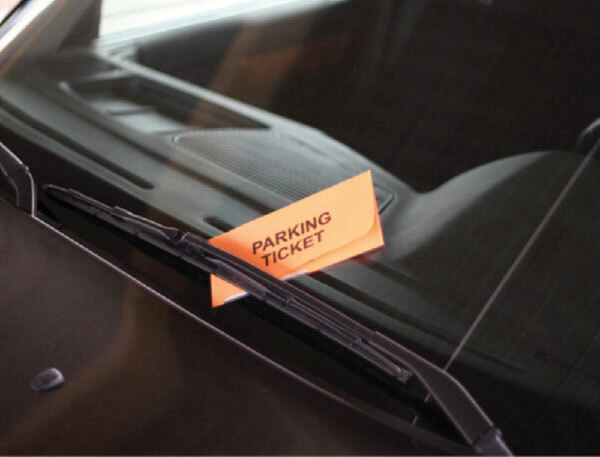 You should pay a parking ticket with a sense of urgency because the fines will increase for not meeting the due dates, and you're not going to be given any kind of leniency for losing your ticket.